4x4 Warranties is an independent broker for a number of nationally recognized Auto Service Contract Programs, (aka Extended Auto Warranties). This gives us the advantage of shopping for the best program for your particular needs. You will always be offered the most comprehensive agreement for your 4X4 the First Time Around. 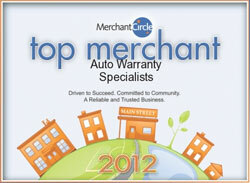 4x4 Warranties is an independent broker of Vehicle Service Agreements (a.k.a. Extended Auto Warranties), and offers Factory Like Coverage for Newer and Used vehicles (as well as most other vehicles). The companies we represent are A, A+ and A++ rated by AM Best, and re- insured by some of the largest insurance carriers in the world. If your 4X4 is sold, most agreements are transferable to a private party for a small fee. Helps you maintain your resale value (15% to 25% higher) and your 4X4 sells faster in the open market. 1) What is an extended auto warranty affect my 4X4 ? An extended warranty is an agreement between the 4X4 owner and Warranty Company, obligating the warranty company to pay for repairs covered by the contract for a specific period of time. 9) Why do 4X4 dealers sell extended warranties? 16) What if I did get an extended warranty from the 4X4 dealer? 17) When should I buy an extended warranty for my 4X4? 18) Extended warranties on a used 4X4? 19) Extended warranties on a leased 4X4?